NFZ Summer School 2019 "FOREST RESILIENCE"
The summer school programme was the first multifaceted project to be developed within NFZ.forestnet. NFZ summer schools take place every year, and are organized by one of the three partner countries. 2. Sept. – 8. Sept. 2018, Nyzhnje Selyshche (Ukraine). 26. June – 29. June 2018, Nancy (France). 25. Sept. – 29 Sept. 2017, Nancy (France). 11. Sept. – 15. Sept. 2017, Nancy (France). Click here for registration, submission and other information. 2017: NFZ Course on “Advanced Data Analystics using R” in Birmensdorf. 11. Sept. – 15. Sept. 2017, Birmensdorf (Switzerland). 2016: NFZ summer school "Bioeconomy - a challenge for European forestry and the bio-based sector" (BioFor) 2016 in Freiburg, Germany. 2016: NFZ summer school “Integrated Land Use Systems” (ILUS) 2016 in Freiburg, Germany. 2015: International Doctoral Course “Stable Isotopes in Forest Ecosystem Research” 2015 in Champenoux, France. 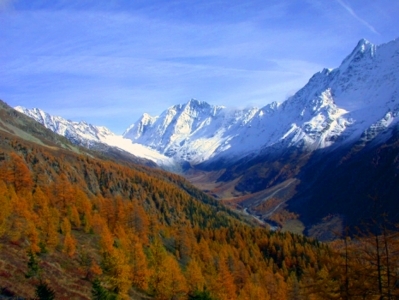 2015: "Climate change impacts on forest ecosystems: Disciplinary and interdisciplinary challenges across spatial scales" (FORESCALE), in Fafleralp, Lötschental (Valais, Switzerland). 2014: "Mixed Forests Ecosystems" (MIXFOR), in Nancy (France).2005: "Land Use, Land-Use Change and Forest History. Impacts on the environment" (LULUC), in La Bresse (France). 2013: "Douglas fir, opportunities and risks for European Forestry" (DOUGOP), in Esthal (Germany).2006: "Mountain Ecology and Alpine Ecosystem Management" (MOUNTECO), in Davos (Switzerland). 2011: "New Challenges for Interdisciplinary Wood Research" (NEWOOD), in Nancy (Fance).Environment" (FORCE), in Freiburg (Germany). 2010: "Impacts of Climate Change on Growth and Mortality of Forests in Europe", in Freiburg (Germany). 2009: "How to Publish and Conference" (HOWTOPC), in Zurich (Switzerland). 2008: "Modelling Forest Community Organization, Functions and Dynamics for Improving Forest Management" (FORMOD), in Le Tholy (France). Climate change impacts on forest ecosystems: Disciplinary and interdisciplinary challenges across spatial scales.